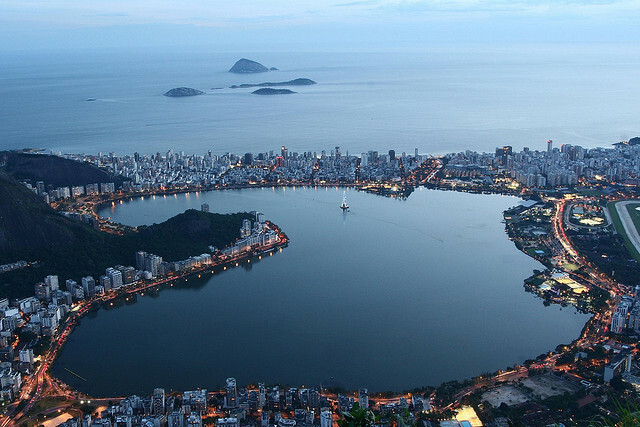 Rio de Janeiro lies within a tropical climate near the Tropic of Capricorn. The temperature stays fairly warm all year round and the days are mostly sunny. Because the country is in the southern hemisphere, summer falls between December and January while winter runs from June through August. 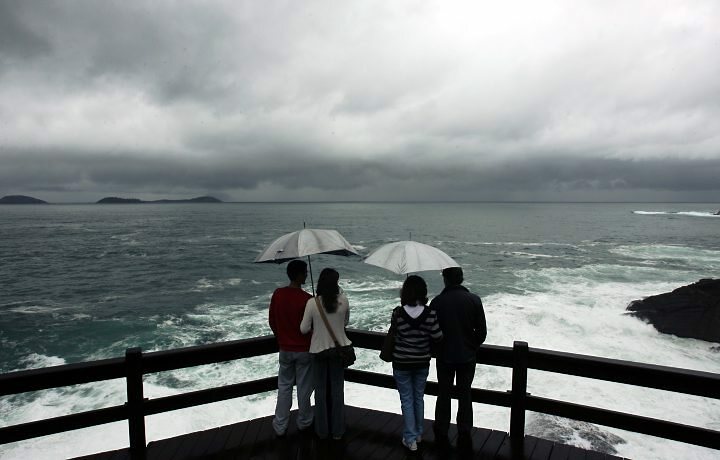 The weather is influenced by El Nino and La Nina. The ocean currents coming up from Antarctica also affect the weather. When a southwest wind blows in the rain is sure to follow. Otherwise, it is quite common to have one sunny day after another. 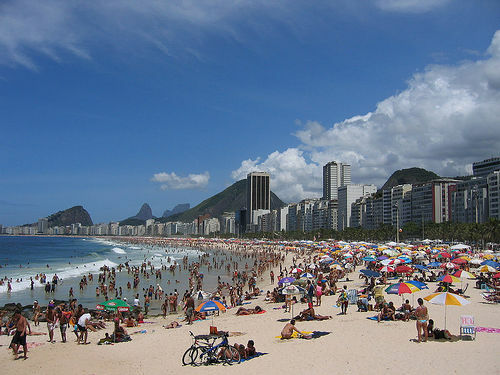 Summer is the busiest time of year in Rio. Things start to heat up in October and by December, temperatures can reach 104 F. Usually it rains in the afternoons after a really hot day. Only a strong sunscreen, sunglasses and a hat will protect fair skin from the sun’s rays. The humidity is also quite uncomfortable. When the amendoeira trees turn to red and yellow and the nights are cooler then autumn has arrived. Autumn runs from March through May. Temperatures run in the low 80s during the day and the 70s at night. 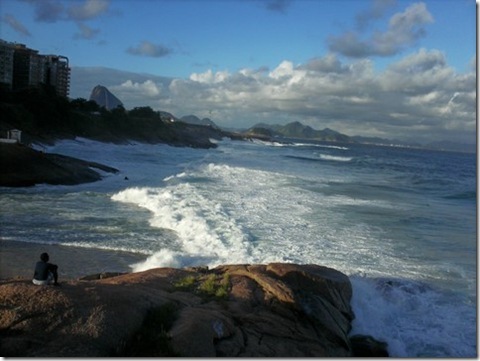 June, July and August are the winter months in Rio. Temperatures can drop to 70 F and the wind and rain can really bring a chill to the air. The locals call this period ‘veranico’ meaning mini-summer. Visitors should plan on bringing a light jacket for evenings yet remember your bathing suit for the sunny days. Considered the most enjoyable time of year Spring temperatures range from 70-90 F. The humidity is quite low but the days are very sunny. The mountains around the city are abloom with colorful wildflowers. This is the perfect time of year for a hike in the rainforest. Anytime is perfect to come to Rio. 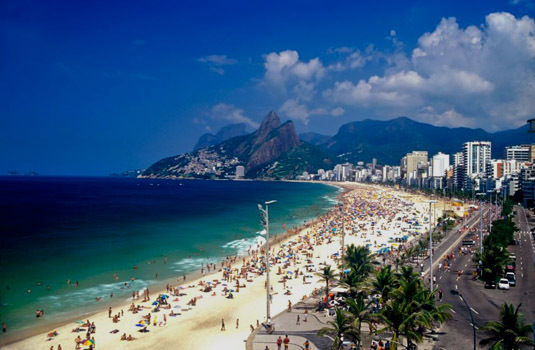 If you like hot weather visits in the summer or if sweating is not your favorite sport then try a winter vacation in Rio.